My own dad had high blood pressure and subsequently died from stroke years ago. His death was one of my life defining events that made me want to get to the bottom of a lot of health related issues. I had always belief that his death, like those of many others could have been prevented. Our blood pressure have to be raised when we exercise or when we are facing dangers and trying to run away or to fight them. This ability has helped humans and animals to survive through predator threats. The problem arises when the blood pressure is constantly elevated. If you read the causes in medical and biology books, genetic and lifestyle factors such as smoking, high intake of salt and animal fats, inactive lifestyle are known to contribute to high blood pressure. These are very true- that a largely sedentary lifestyle, eating too much fast and fatty foods, driven in a stress driven competitive environment contribute to high blood pressure. But out of all the factors, there is no doubt that stress is known as one of the most major contributor of high blood pressure. To be able to control the blood pressure, reducing stress is equally important as taking medication and getting regular checkups. Everyone talks about reducing stress but if you cannot see the root cause of your stress, it’s hard to work on the problem. This is based on my own personal observation. Therefore I ask for your forgiveness if it does not apply to you or if I’ve left out other points. 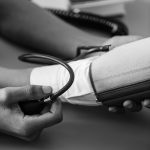 Over the years, I have seen a number healthy young individuals who worked in the same department as I did (in my previous job) developing high blood pressure. I want to state these factors here because if you or your loved ones have these attributes, it is important that these psychological and emotional elements are addressed for by ignoring it, even medication may not be able to control. It could happen to someone who is by nature not verbally and physically aggressive. Instead of voicing it out, the frustration gets directed inwards. They could have been bullied at work or being unfairly taken advantaged off at work or at home. Or they are frustrated with life on general- ie that where they are now is not where they want to be- sometimes in life we keep climbing a ladder to success and happiness only to realize that what we’ve actually climbed the wrong ladder. It will help greatly if the person learned to be more assertive (it’s different than being aggressive) by learning to say no politely but firmly when forced to do things that they dislike. But most of the time, we humans have such a deep need to be loved and accepted that we will try to accommodate others as much as we can. We need to understand that saying no when we are being pushed too hard or at least having our opinions heard or shared is important for our well-being. A lot of people who have good command of the language can communicate, but may not be able to negotiate. When we are not happy about our working conditions or not happy in being a pushover, or a carpet that people step on us, we must either negotiate or leave. But the universe also have a strange way of presenting situations that have tried to run away from again and again in front of our faces- no matter where we go. Also do note that sometimes it’s hard to remain assertive because manipulative people are very good at playing psychology and instilling guilt in you- that you’re a bad person for standing up for yourself. So, you need to develop two skills- learn to negotiate and also learn to overcome feelings of guilt. Don’t let others use guilt against you. Because you’ll be very angry with yourself (even though it seemed directed at the other person, the truth is a lot of this rage is directed inwards). If we are constantly in the fighting mode, it’s logical that your blood pressure would be chronically elevated. Our ancestors depend on elevated blood pressure to help escape or fight away hungry predators. Today, when we are faced with threat, the body reacts the same way to the stress- only this time, instead of a predator, we are faced with last minute deadline, major system crash, shares going down. It’s important to learn how to relax ourselves. A body massage can really tell us if we can relax- there’s a person who was so tensed up that he repeatedly had to be told by his masseur to relax- but he did not know how. For some people, they may just assume that they are right about everything. When other people try to offer other viewpoints, they just dismiss them without keeping an open mind. Somewhere deep inside, probably because a high inner ego or inflexibility in nature- that causes the stubborness. This could also be developed from children who were forced to ‘grow up’ and look after the family from young because their parents were unstable emotionally or constantly unavailable- so they have to take care of the siblings. These children, who are forced to constantly think like an adult, grow up to be ‘strong character’ and protective of their loved ones. At some point, they have to really learn to relax and let other people learn to take care of themselves. There’s no need to be too over protective- sometimes people learn best when they fall down and they will not listen anyway if we tell them. Usually, these habits spillover at other aspects of their lives and when the overall effects to relax and take life less seriously are developed, they find their chronically elevated blood pressure is now normalized. It is important to learn to have fun and enjoy our day. Don’t fixed so much of rules and expectation on ourselves and others that requires constant work to keep up and at the same time scares other people away. Learn to take life easy- subscribe to a few really good joke sites (not those with nasty looks insulting or belittling others) but those that really set us laughing. Do it few times a day. Keep some funny videos and comic books to read as often as we can. Do some exercises, and learn to enjoy nature. Don’t take ourselves and others too seriously- and don’t give others the power to push our buttons. Important note: Before starting an exercise program, please consult your doctor or physician if you have existing ailments like heart condition and high blood pressure.